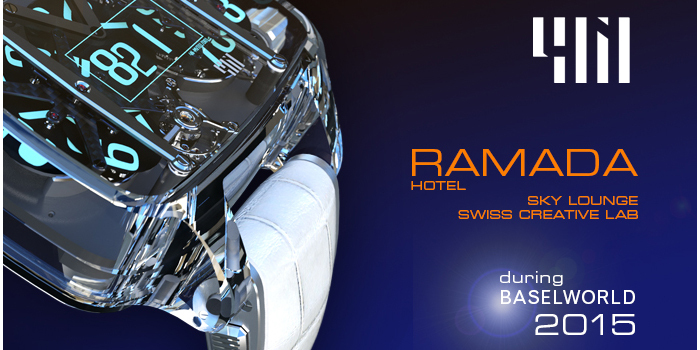 As part of its incubation programs, the FashionLab – Dassault Systèmes innovation laboratory dedicated to luxury – has renewed its collaboration with the well-known designer François Quentin for his 4N Brand to introduce a new 3D experience during the next BaselWorld 2015. 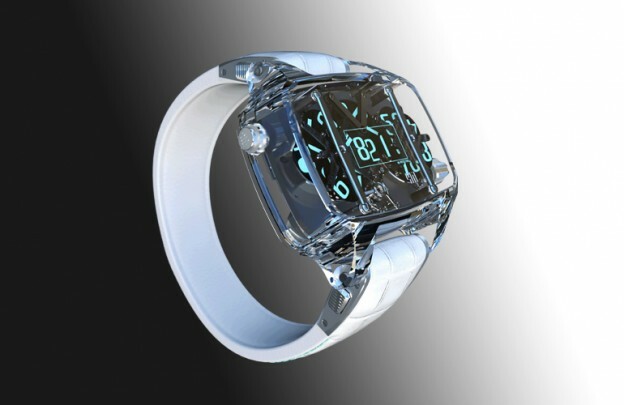 This season, the designer François Quentin wanted to reveal a new design of the MTV 4N-01 watch with a new Sapphire case. 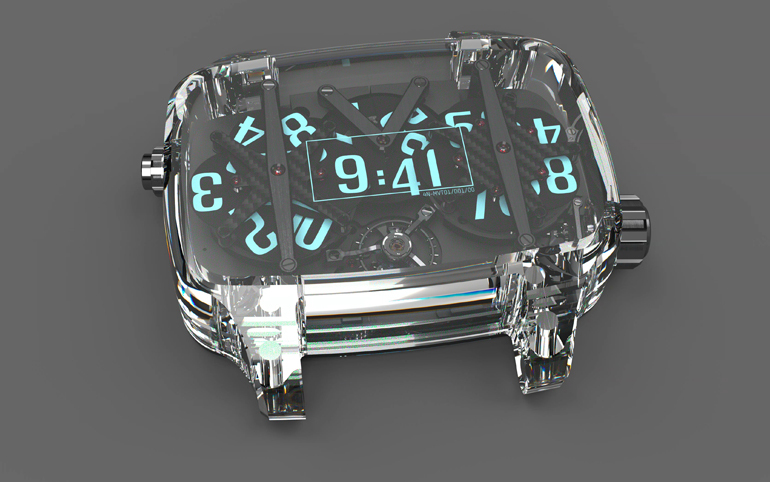 The product concept was to enhance the movement of this exceptional timepiece with transparency. François Quentin then worked closely with the FashionLab to develop this new model, thanks to Dassault Systèmes 3D design software. The aim was not only to manage this new material and its impact on visual effects, but also to calculate the impact generated on the case shape. The project went through two stages: a first step dedicated to the new case design in 3D, based on the new material (Sapphire) and its impact on the overall shape of the case. 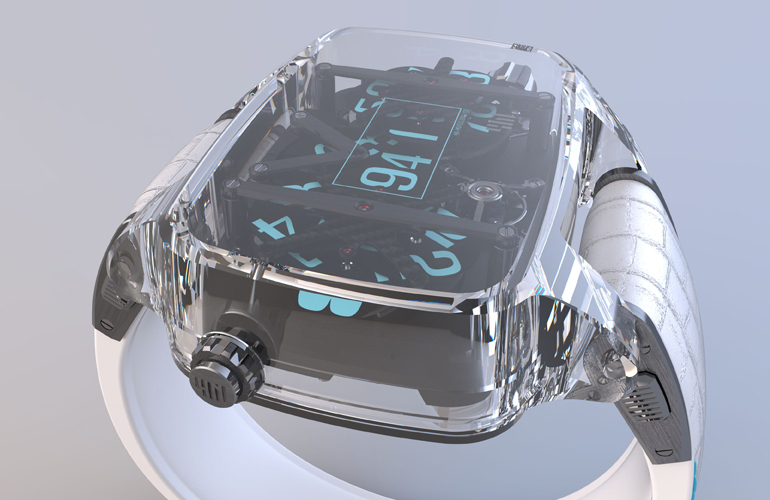 François Quentin used the Dassault Systèmes 3DEXPERIENCE platform on the Cloud to imagine, design and build this new version of the watch. 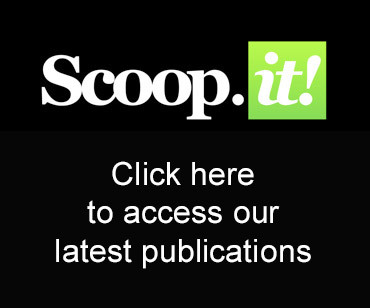 The offer “My Product Portfolio on Cloud” enabled him a fast deployment and a fully integrated 3D digital continuity to cover all stages of development of the watch. The second step was to simulate the desired transparency as accurately as possible. For that, the FashionLab and François Quentin worked with NVIDIA, the leader in visual computing, to improve rendering performance and achieve the highest visual fidelity. 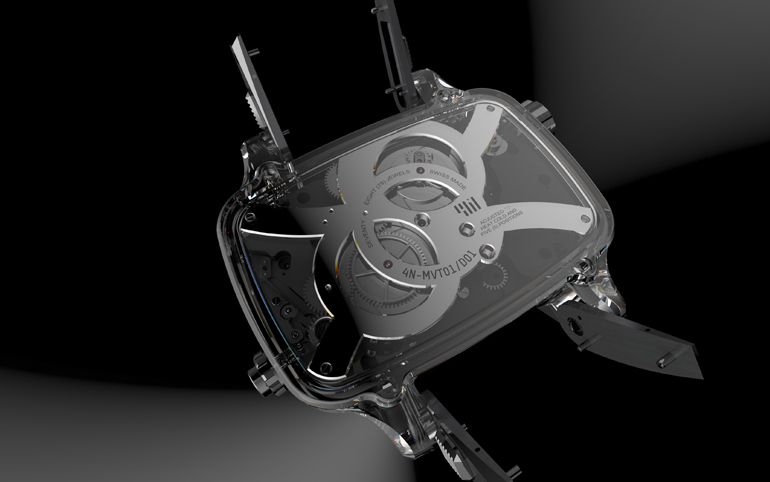 FashionLab and NVIDIA worked with François Quentin to deploy the NVIDIA Quadro Visual Computing Appliance (VCA), a GPU rendering appliance that dramatically accelerates the work of NVIDA Iray, a photorealistic renderer integrated into Dassault Systèmes’ CATIA. This enabled the designers to interact and view the computer models seamlessly at an incredibly high visual fidelity from all angles, as if it were a 3D physical prototype. This new Sapphire box will be presented during the BaselWorld 2015 through a physical prototype and a 3D large-framed photo realist in real time. 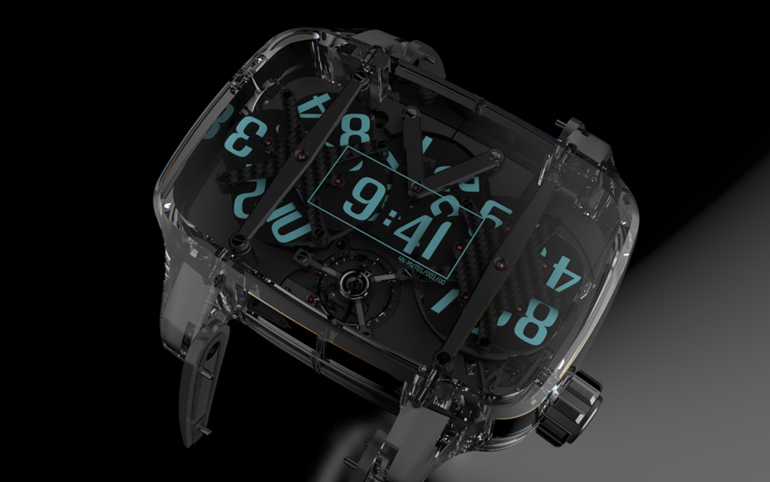 Share the post "François Quentin and the FashionLab highlight the mechanism of the 4N through a photo-realistic 3D experience at BaselWorld 2015"